Click here to browse the OverDrive Collection for eBooks, audiobooks and music. Click here to set up your eReader/portable device. Animated picture books online. 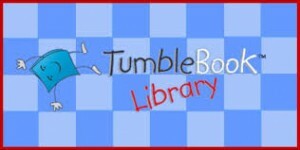 Download free books and the free TumbleReader to enjoy e-books offline too. PebbleGo Next is the next step in research for students grades 3-6. PebbleGo Next is carefully aligned to grades 3-6 curriculum objectives. The databases is simple to navigate and offer key reading supports such as read-along audio and word-by-word highlighting along with a variety of downloadable, including prompts to inspire critical thinking. It’s not always easy to decide on a career – after all, the choice you make will determine how you spend much of your time for years or decades to come. Luckily, there are tons of resources out there to help you assess your talents, skills and interests, along with many informative articles, blogs, and podcasts on the subject. And you’ll find the best of them in this guide, which includes more than 40 individual resources for how to choose a career that’s a good fit for you. Also included are resources to help you determine what types of organizational cultures you might thrive under, as well as resources specifically for people looking to make a career change. Databases are resources the library provides (and usually pays for) that contain articles, information, statistics, and images, from magazines, newspapers, scholarly journals, and reference books. Some databases are general collections featuring publications on a variety of subjects and others are specialty collections. The library’s subscription databases are available for use in the library or remotely 24/7 with your library card. Patron ID= your library card number. EBSCOhost is a single access point to most of the individual databases listed here. Click “General Research Databases” to select and broaden your search for information and articles across multiple databases. Designed with students and educators in mind, Explora provides a safe, trustworthy environment for students to look up articles and facts for research papers, class projects or homework. Explora provides students with easy-to-use features and age-appropriate content from the world’s leading magazines and reference books. Browse and search for company profiles, industry information, market research, and country economic data. Full Text. Covering the latest concepts, theories, and methods from both applied and theoretical aspects of the social sciences, including addiction studies, ethics, public welfare, urban studies and more. Designed for middle school level research. The database features full-text for more than 150 magazines, plus biographies, historical essays, primary source documents, photos, maps, and flags. Full-text for more than 80 of the most popular elementary school magazines, plus the Encyclopedia of Animals, American Heritage Children’s Dictionary, and an image collection of 91,000 photos, maps and flags. Read-alike recommendations specifically for younger readers. 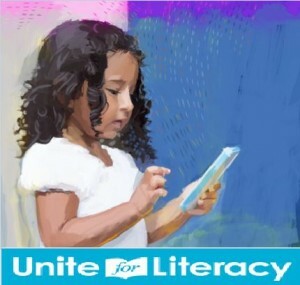 It helps kids find books that are just right for their reading level and interests. We offer free sample DMV written tests. This current events database covers social, political, & economic issues, scientific discoveries and other popular or controversial discussion topics. Provides full-text articles from U.S. and international new, periodicals, biographies, public opinion polls, and government publications. The electronic Guide is periodically updated with new vehicle and fuel price information. If you would like an e-mailed electronic version of the Fuel Economy Guide each year, please visit https://fueleconomy.gov/feg/guides.shtml to join the email list.